To share a Convo, begin by writing it out in the Convos editor, then scroll to the bottom of the Convo. There you will see a button that says "Publish." 2. 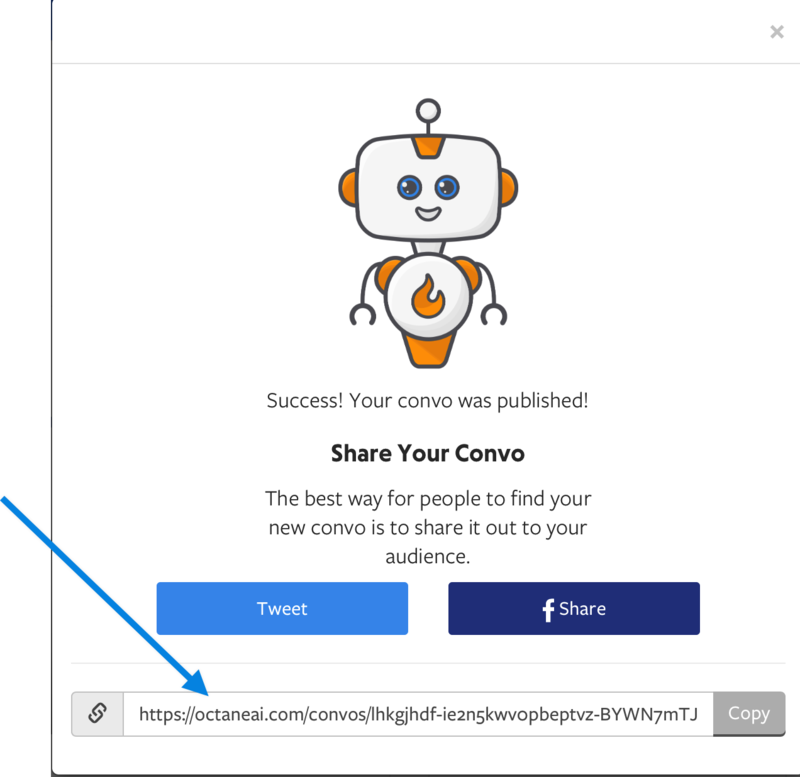 Once you click "Publish," you will see a shareable link for you convo.